Lacy Gadegaard in her element, working with her Laced Hair Extensions. When you ooh and ahh over those gorgeous long and shiny locks on female actors, singers, musicians, and models, you're usually seeing hair extensions taped, clipped, or "wefted" onto real hair. 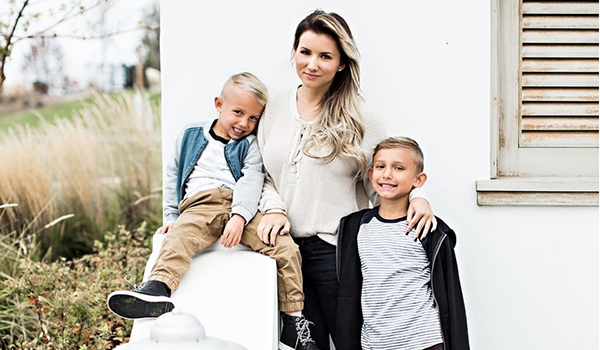 Lacy Gadegaard of Salt Lake City is one of America's go-to extensions experts as the founder, owner, and CEO of Laced Hair Extensions. Originally set on being a criminal justice attorney, Lacy, 33, won a scholarship to hair school through a beauty pageant she'd entered. 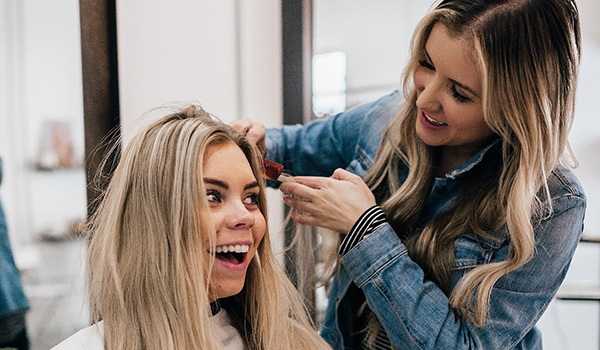 She embraced the creativity and fun of doing hair and now, 16 years later, she provides extensions and training to clients worldwide. Debuting in 2010, her company's extensions have wowed viewers of television shows including "The Bachelor" and "Shark Tank." 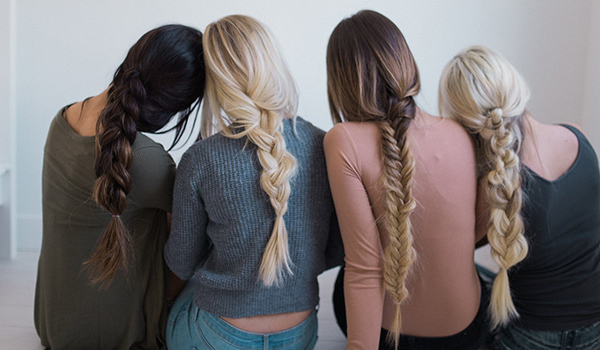 They're also seen on countless celebrities who'd probably rather not share that their hair really isn't "their hair." No one who marvels at the fast pace Lacy maintains would know she has multiple sclerosis (MS). Get to know Lacy here as she shares tips about self care. HealthCentral: So you were diagnosed with MS last year, but at first doctors thought you had a brain tumor. Tell us about that frightening journey. Lacy: The MS diagnosis was the best bad news I ever received! It saved my life, actually. My symptoms all said "brain tumor" with seizures, memory loss, headaches, and what seemed to be a stroke when my face went numb. Then I couldn't walk or talk temporarily. An MRI (magnetic resonance imaging test) done while I was having another seizure revealed a lesion that didn't look like traditional MS or a cancerous brain tumor, but it was in an inoperable location. Six months later my team of neurologists at the University of Utah confirmed MS, and that some of the lesions were quite progressive, meaning I'd have more. HC: Has having MS been the way you "thought" it might be? Lacy: I imagined being in a wheelchair or using a cane and wondering how I, as a single mom, could care for my 8- and 6-year olds. Of course, that hasn't happened. My staff at work, who are like family, were scared I wouldn't be able to do hair anymore. I got super depressed about it all and, truthfully, I was scared, too. HC: So what do you do for your body now that you do have MS? Lacy: I decided that since I didn't have a choice about this, that I'd try to be as healthy as I possibly could be. I listen to my body and I don't fight it. If I get tired, I let myself be tired. I eat healthy, too, and have personally chosen to be completely gluten-free. HC: What are the toughest things you've had to do in adapting to MS? Lacy: I've chosen to do daily injections of Copaxone, which cause few side effects but cause little bruises on my stomach, arms, and legs. Some become permanent scars. Everyone is different with the way every medication affects them, and because I am in the beauty industry, I'm already pretty hard on myself. I also don't have the energy I see other friends my age having and that's hard. I have had to learn that it's OK to have help. I'm so blessed to have a wonderful family and friends. HC: Share something really positive that's happened since you have MS.
Lacy: I've become a completely different person in good ways. So many little things used to matter that don't anymore. I've become so much more patient and I'm not afraid now. I've started to look at other people differently, and more kindly. I'm also going to create a foundation for women with hair loss that occurs for so many reasons and then impacts self-esteem. I realize that many people endure silent battles. Outside they look fine, and even I don't really "look" like I'm sick. I am living life and trying not to let MS change anything, really. There's so much more to do.